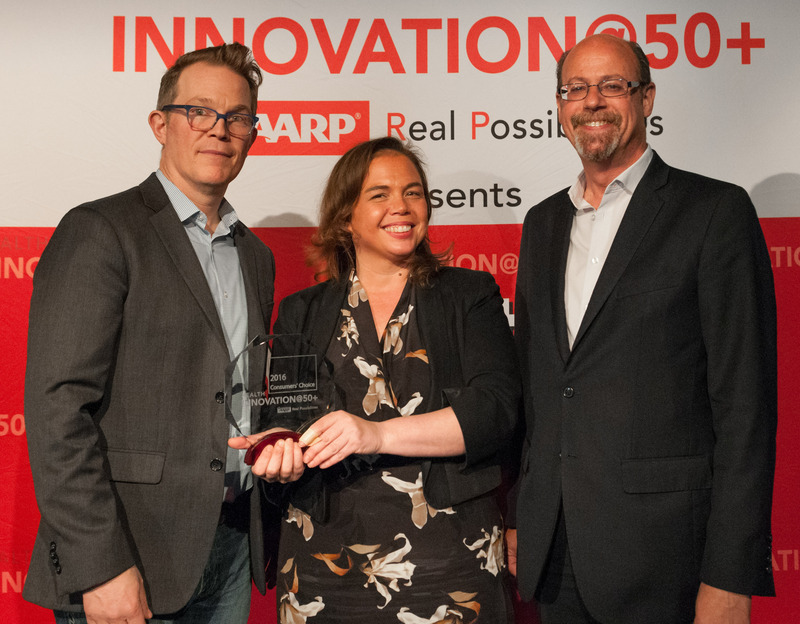 AARP today announced the winners of its fifth Health Innovation@50+ LivePitch event held yesterday, Wednesday, April 27 at Plug and Play Tech Center in Sunnyvale, CA. Ten startup health tech companies focused on caregiving pitched their businesses and Penrose Senior Care Auditors was chosen as Judges’ Choice. SingFit was voted as Consumers’ Choice by the 400+ audience. The full event streaming video, as well as highlights, will be posted on the website which also includes more information on companies and content, at http://health50.org/. AARP’s Health Innovation@50+ LivePitch is a one day pitch competition for emerging startups in the healthy living space with a focus on caregiving. The event included speaking sessions on caregiving, and a keynote with Nancy LeaMond, chief advocacy and engagement officer, AARP. Ten companies then presented their business focus on stage before a panel of industry leader judges and an audience filled with actual intended end users of these solutions, i.e. AARP members and consumers. Previous AARP Health Innovation@50+ LivePitch events have been held in Boston, Las Vegas and New Orleans, with last year’s event in Miami showcasing technology innovation across Florida. Press interested in speaking with AARP executives, the winners, or any of the finalists about AARP Health Innovation@50+ LivePitch may contact Laura Beck, laurabeck@adeointeractive.com. 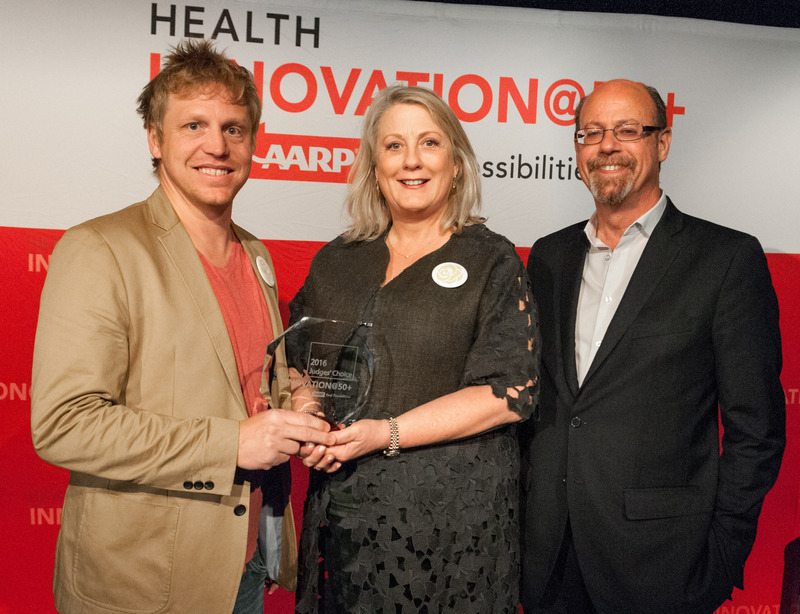 The AARP Health Innovation @50+ LivePitch event is produced with support by Adeo InterActive. AARP is a nonprofit, nonpartisan organization, with a membership of nearly 38 million, that helps people turn their goals and dreams into Real Possibilities, strengthens communities and fights for the issues that matter most to families such as healthcare, employment and income security, retirement planning, affordable utilities and protection from financial abuse. We advocate for individuals in the marketplace by selecting products and services of high quality and value to carry the AARP name as well as help our members obtain discounts on a wide range of products, travel, and services. A trusted source for lifestyle tips, news and educational information, AARP produces AARP The Magazine, the world's largest circulation magazine; AARP Bulletin; http://www.aarp.org; AARP TV & Radio; AARP Books; and AARP en Español, a Spanish-language website addressing the interests and needs of Hispanics. AARP does not endorse candidates for public office or make contributions to political campaigns or candidates. The AARP Foundation is an affiliated charity that provides security, protection, and empowerment to older persons in need with support from thousands of volunteers, donors, and sponsors. AARP has staffed offices in all 50 states, the District of Columbia, Puerto Rico, and the U.S. Virgin Islands. Learn more at http://www.aarp.org. 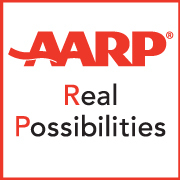 Real Possibilities is a trademark of AARP.